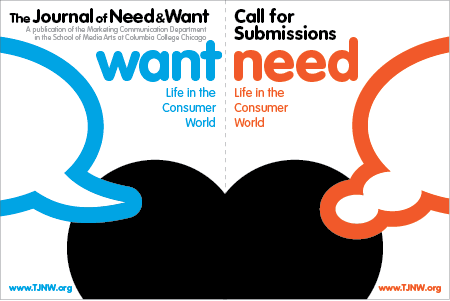 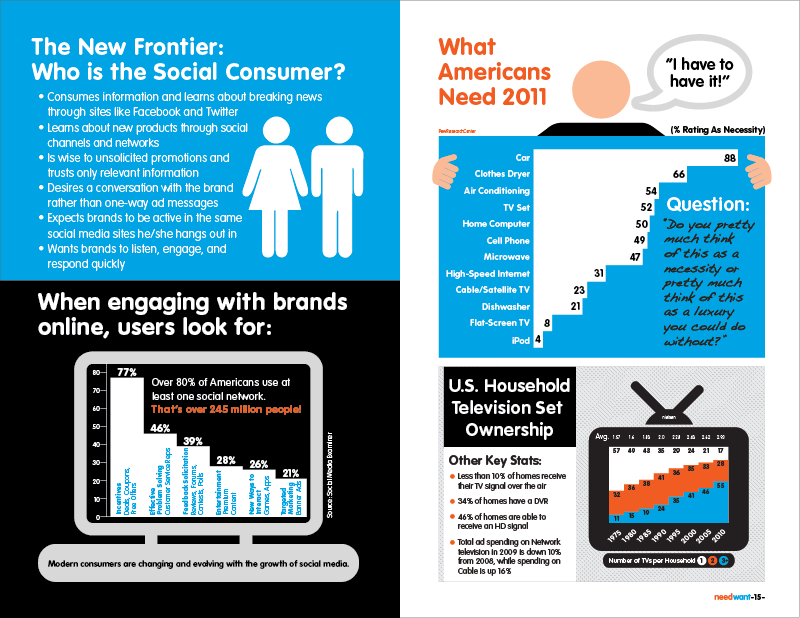 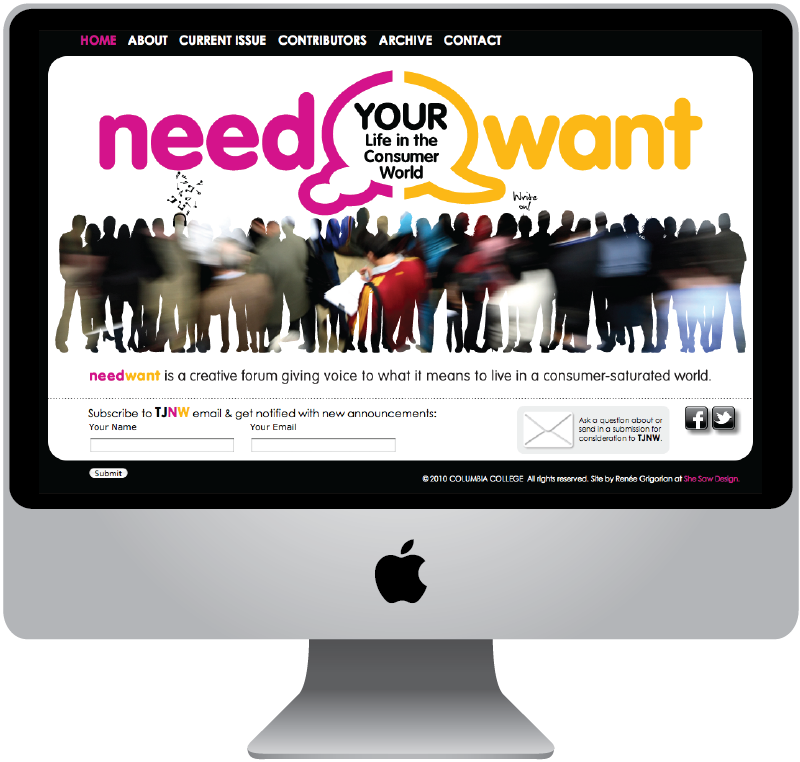 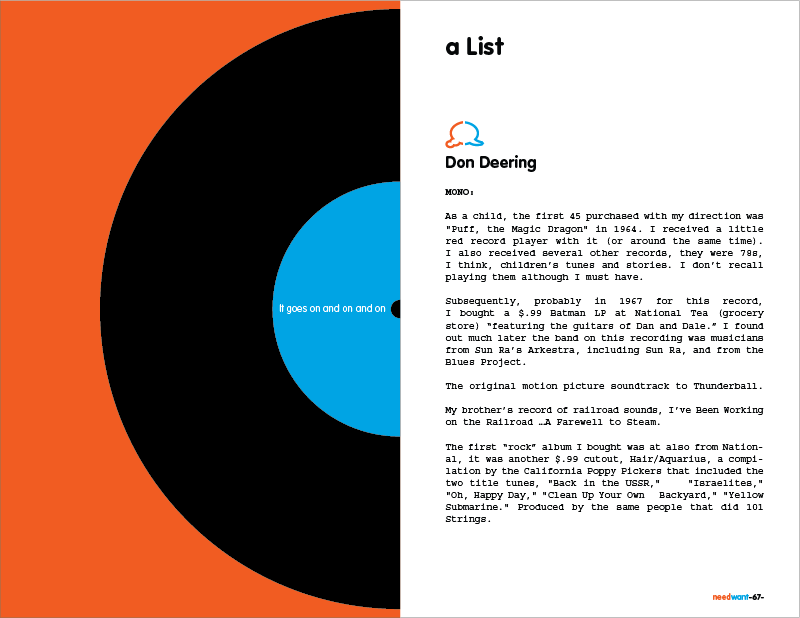 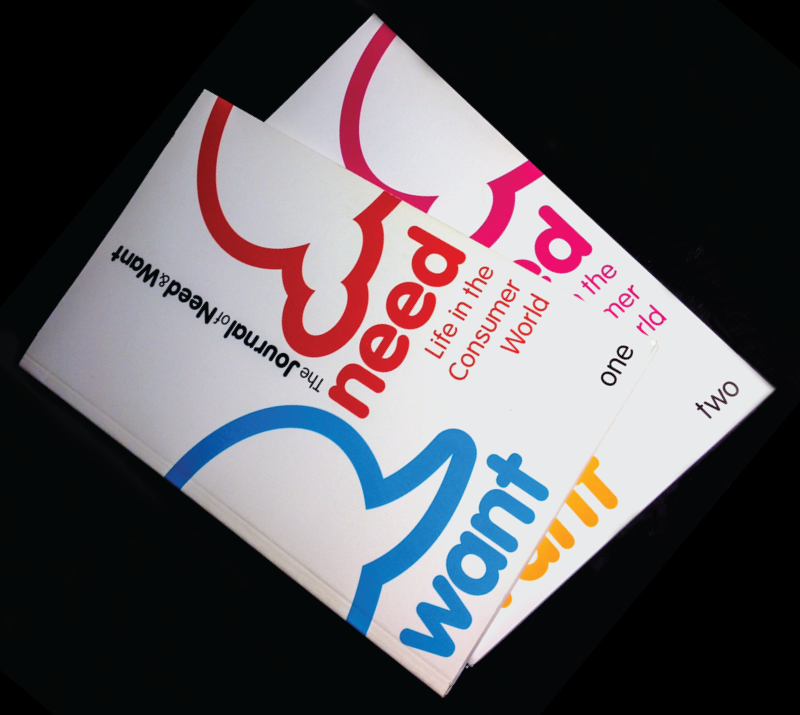 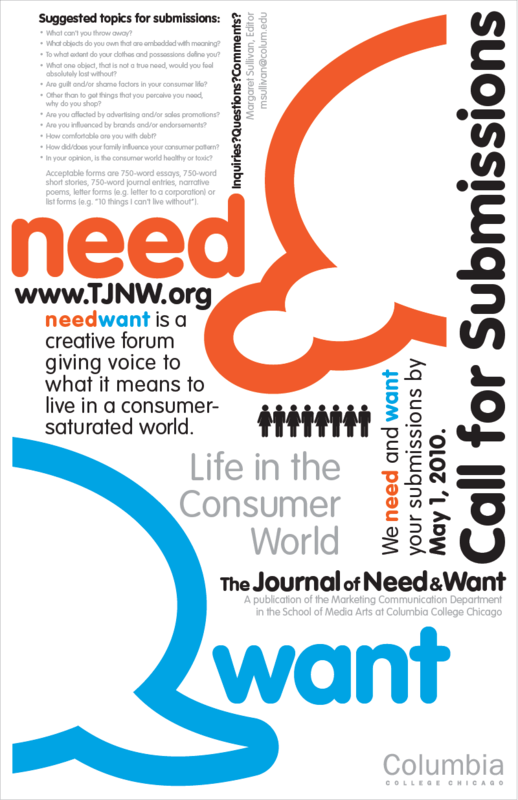 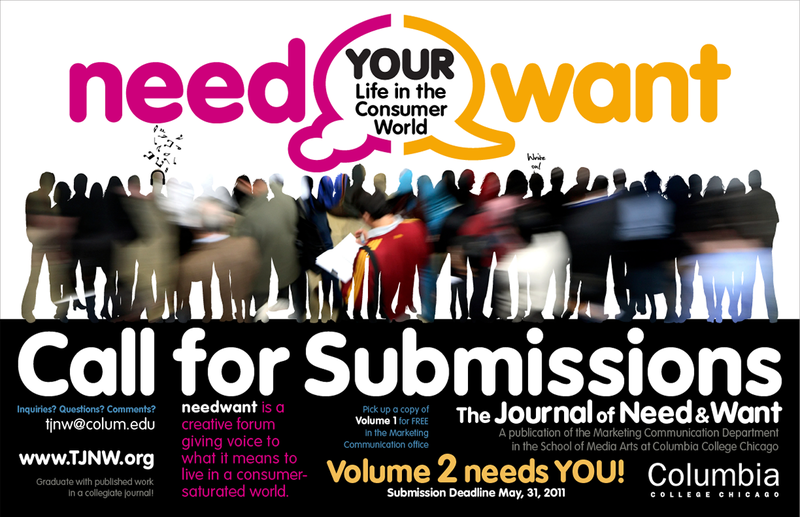 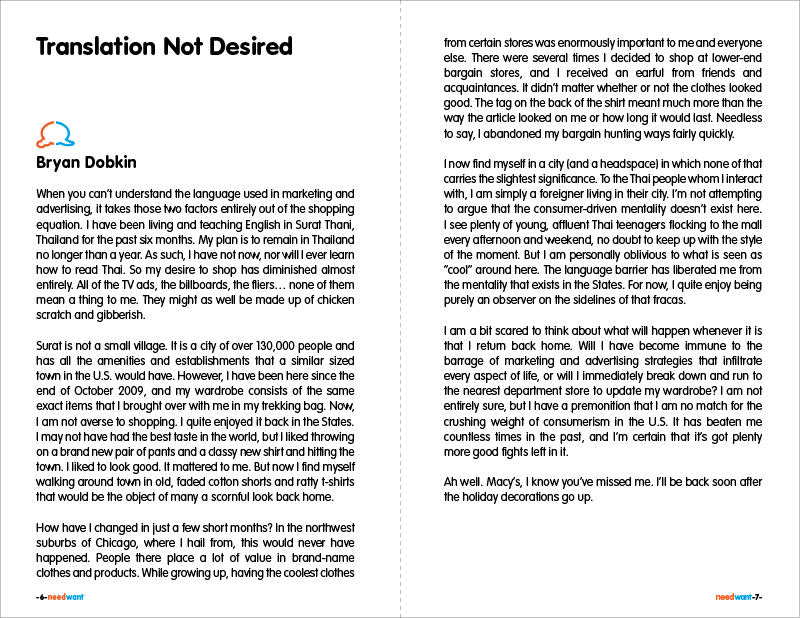 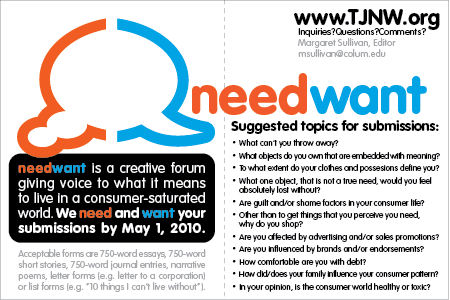 The "Journal of Need & Want" is an exciting and provocative new publication from the Department of Marketing Communication in the School of Media Arts at Columbia College in Chicago. 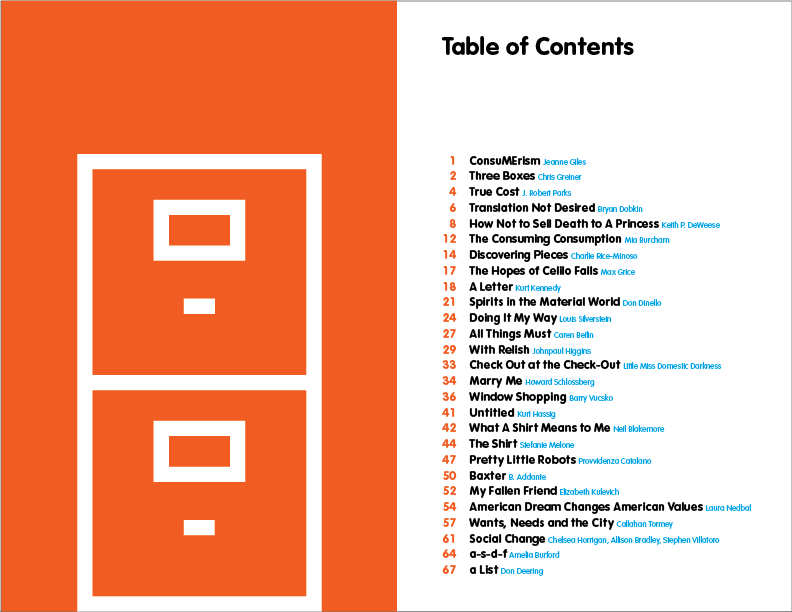 It explores the rich territory of consumerism in American culture and I personally found it to be a treasure trove of inspiration. 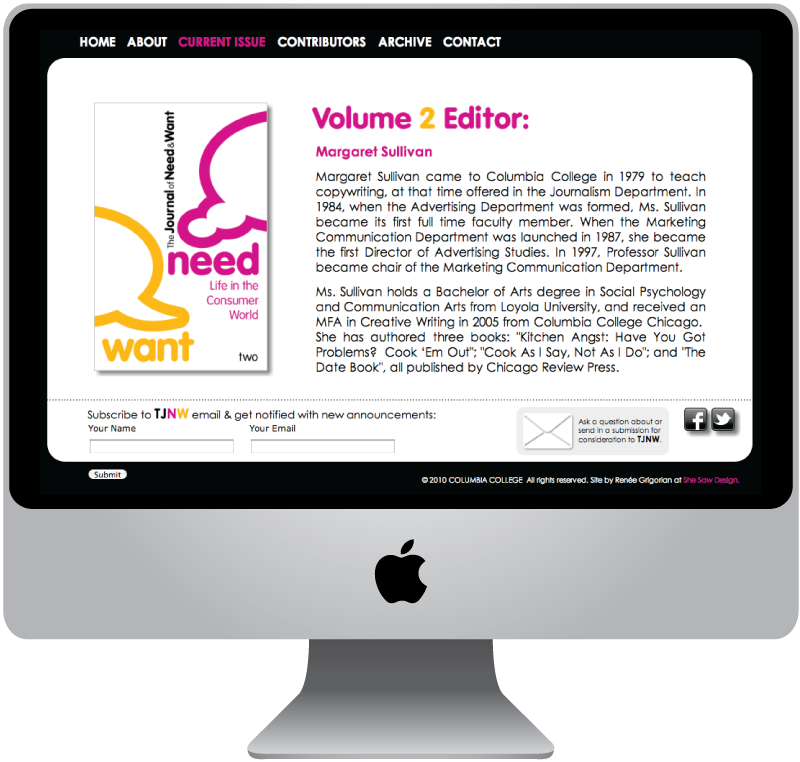 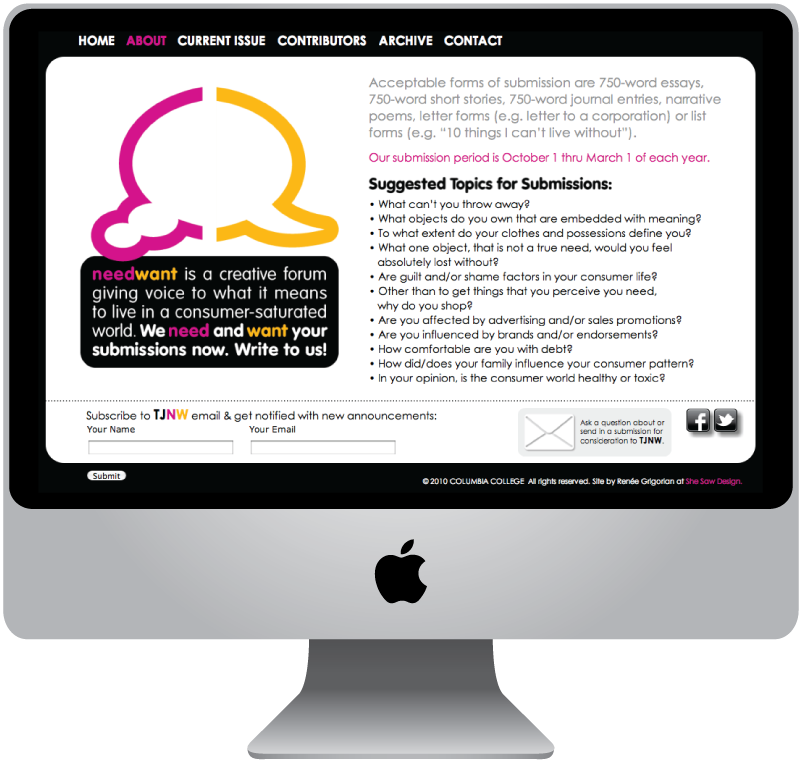 It was also a tremendous opportunity for me to design a publication from the ground up. 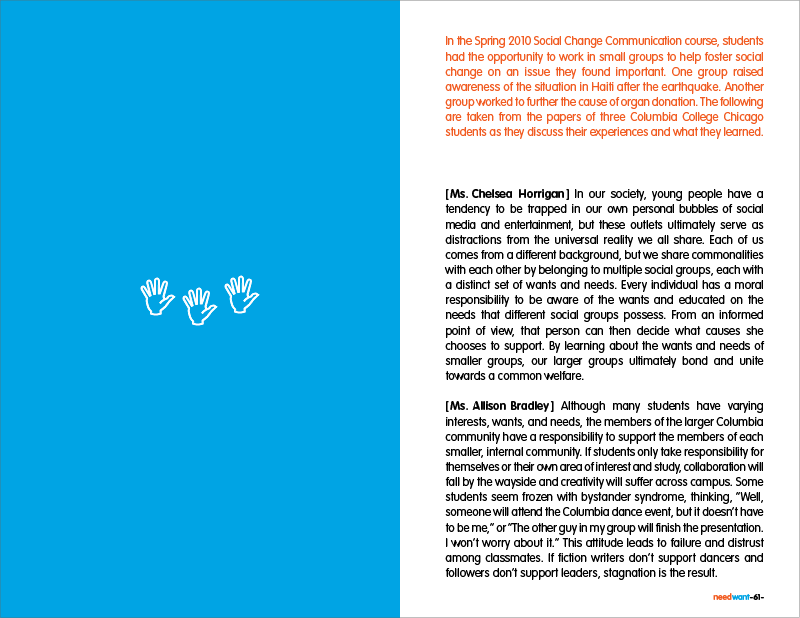 From logo to book to website, it was a challenging and rewarding experience and I loved the collaborative aspect of working with the editor and the project manager to see their germ of an idea manifest itself into an award-winning publication. 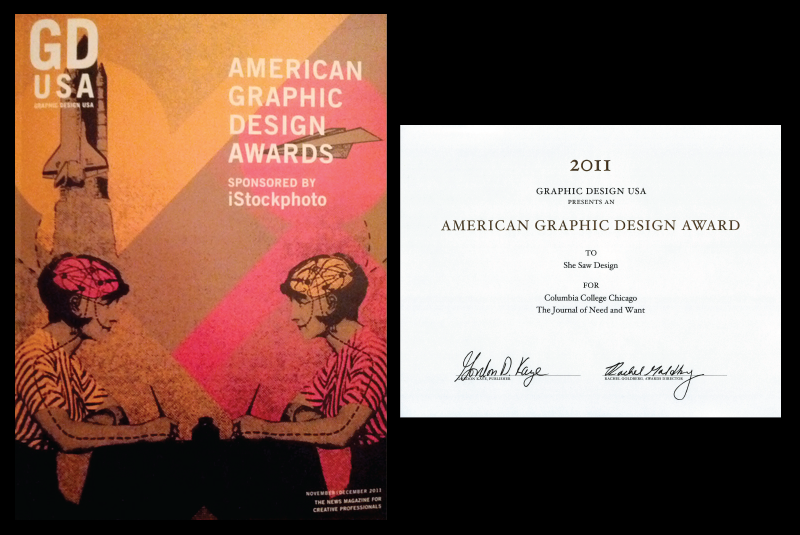 Recognized for excellence in publication design in Graphic Design USA Magazine's 2011 American Graphic Design Awards, Volume 1 was featured in the November/December 2011 issue.